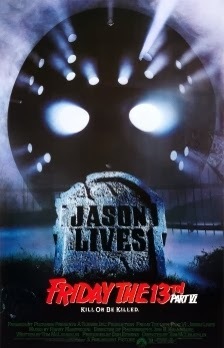 Friday the 13th Part VI was released on August 1st, 1986. Filming locations include Covington, Madison and Rutledge, GA.
Wow i cant believe karloffs isnt a protected national registry place. Went to Daniel Morgan back in May. Got a key to all the cabins and the kitchen and dining hall from the Hard Labor Creek park office. The camp looks pretty much the same as in the movie. The main differences are that the cabins are now gray instead of brown and a lot of the trees have been cleared. It looks way more wooded in the movie. Spooky place even in broad daylight! I figured out that the dining hall was actually the building used for the girls cabin and NOT the other end of the building used for the boys cabin as some have said. In the movie, the girls cabin has a fireplace. There is no fireplace in the building that served as the boys cabin on either end. In fact it is my opinion that the dining hall was actually used for the interior of both the girls and boys cabins and that the building used for the boys cabin was only used an an exterior shot to make you believe there were two separate cabins. In the movie, notice when Sheriff Garris runs into Nancy outside the boys cabin. The boys are all standing outside on the steps with the door open and you can clearly see that there are no beds inside the cabin. The Sheriff then leads them up toward the dining hall (girls cabin). This is a very cool place to visit. A must for any Friday the 13th fan! Went to the Camp last night with my wife for a "Under the Moon Kayak Tour"! The Kayak guide took us to the dock of this famous scene from Friday the 13th Part 6. I was in heaven! As an 80's Horror movie fan, it did not get any better. I plan on going back to Camp Daniel Morgan to take pics during the day. I suggest any fan of the series to take the Kayak Tour that the park offers. The tour guide shows you lots of historical spots and is very informative! How are you able to visit?